Figure 21. 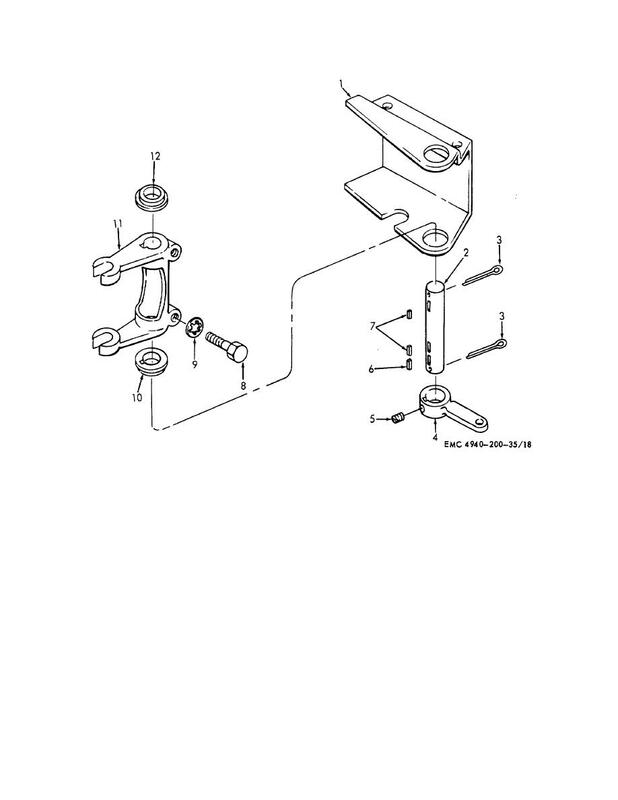 Clutch operating linkage bracket assembly, disassembly and reassembly. Figure 22. Power takeoff upper linkage, model SECM, disassembly and reassembly. Key, machine, 1/4 x 1/4 x 1 in. Washer, lock, IT, 3/8 in.